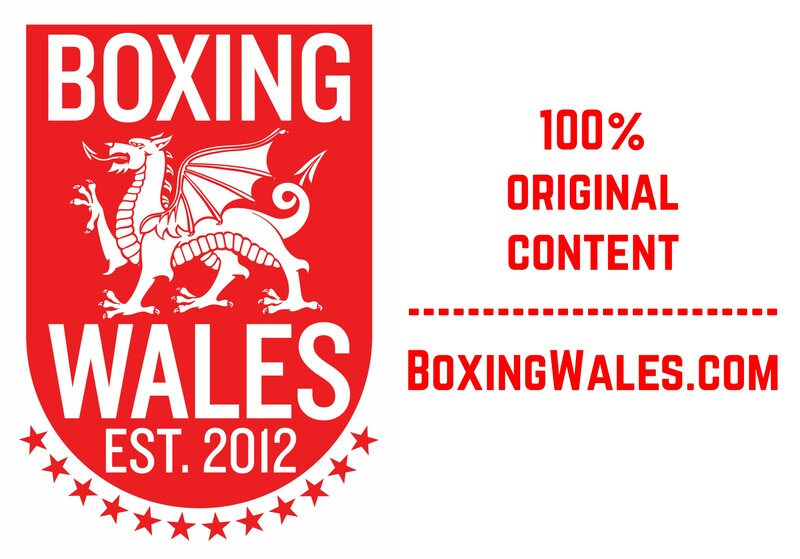 Swansea’s Chris ‘Rock n Rolla’ Jenkins (16-0, 8KO) ended five months of inactivity with a first round stoppage of Poland’s Jacek Wylezol (10-4, 6KO) on the undercard of Sanigar Events’ ‘Dragon Fire’ show at the Rhydycar Leisure Centre in Merthyr Tydfil. The 26-year-old took barely two minutes to take his frustration out on Wylezol, twice dropping and then stopping the visitor with brutal body shots. Jenkins’ left hook downstairs is his renown breakthrough punch but it was his right that made its mark, forcing referee Clarke Joslyn to end the action and Wylezol was left with suspected broken left ribs. 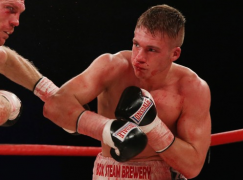 The Welshman, who has the Prizefighter tournament and a WBC International title on his CV, is likely to be competing for the British light-welterweight title in his next contest, having been nominated as Mandatory Challenger by the British Boxing Board of Control (BBBoC). 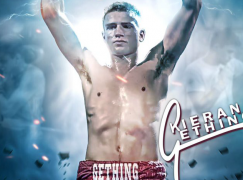 It’s unclear whether champion Willie Limmond (38-4, 10KO) will vacate the title as he looks for European opportunities, that possibility could see Jenkins competing for the vacant title against Dave Ryan, who won the Commonwealth title earlier this month. 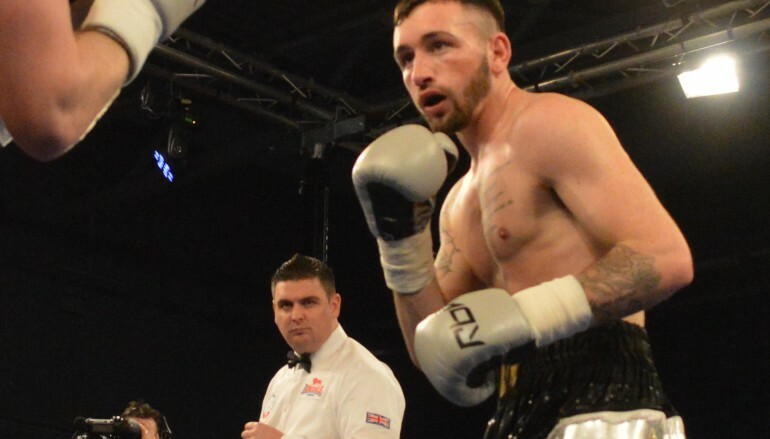 Aberdare’s super-middleweight Morgan Jones (1-0) won his professional debut against Swansea’s Chris ‘Mutley’ Ware (4-1, 2KO) who proved to be just as tough in the ring as it was suggested on paper. Referee Martin Williams scored the contest 39-37 to Jones but Ware, who was handed his first professional defeat, can take comfort in playing his part in an all action four round fight. It was Ware’s first fight for two years but the 32-year-old wasted no time in getting to grips with Jones. However, Ware paid for his willingness in the opener as he walked on to a right hand from Jones and momentarily touched down, therefore receiving an eight-count from the referee. Following the flash knockdown, both boxers soon set a rhythm that saw Ware apply the pressure as Jones circled the ring to picked counters. There was scarcely a second when the pair weren’t punching as Jones took advantage of Ware overreaching at range and Ware had success up close as Jones left his hands at his waist. Ware, nine years older than Jones, pushed the pace throughout and he had his moments, especially at the end of the fight when two flush right hands sent Jones into retreat. On the whole though, Jones’ cleaner work throughout proved to be the difference. The ex-amateur champions were well prepared for each other as Ware had spent the past month sparring at St Joseph’s Boxing Club in Newport, the gym where Jones trains under his coach Tony Borg. Ferndale’s Barrie Jones (20-10, 7KO) was forced the shred every bit of ring rust as he narrowly outpointed Staffordshire’s strong Marcus Le Doux (2-2-1), courtesy of referee Clarke Joslyn’s 39-38 scorecard. Jones weighed in at 11st 1lb, while Le Doux was 4lbs heavier and the visitor used it to his advantage, bullying Jones to stand shoulder-to-shoulder together. Although Jones neglected his jab and didn’t optimize his southpaw stance to it’s full potential, the Welshman produced the slightly neater work experience told as the fight progressed. 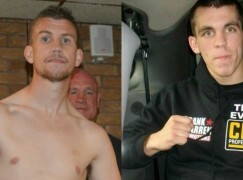 Sanigar Events’ were open to the idea of matching Jones with Welsh middleweight champion Frankie Borg but Jones insists that he can make welterweight, a weight category where he once challenged for the British title. In the show’s opener, Newport’s welterweight Adam Goldsmith (3-0-1) weathered an early storm by Cardiff’s Ameen Alkailany (0-1) to overcome the debutant comfortably on points, winning by a margin of 40-36 on Martin Williams’ scorecard. Goldsmith applied clever pressure throughout, standing in the pocket and picking potshots when Alkailany threw wide hooks. Swansea’s heavyweight Darren ‘The Beat of Bonymaen’ Morgan (8-5, 6KO) ended 11 months of inactivity with a ten second knockout of an overmatched and undersized Mateusz Gatek (1-2). The Polish visitor, who weighed more than six stone less than Morgan, was down with the first exchange of the fight. However, Gatek quickly rose with clear eyes ready to continue, only for referee Martin Williams to prematurely end the contest there and then.